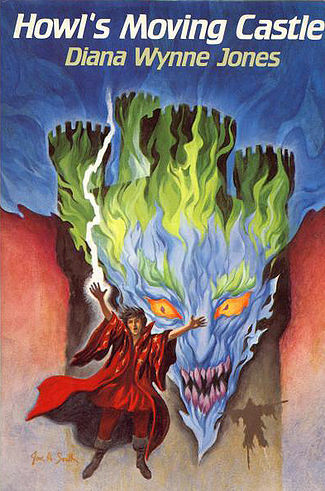 It is with great sadness that I learned author Diana Wynne Jones had passed yesterday. She has written so many of my favorite Young Adult and Middle Grade novels. THE LIVES OF CHRISTOPHER CHANT, WITCH WEEK, CASTLE IN THE AIR and so many other wonderful adventures with magic and humor and emotion. I can’t say enough about her books, if you haven’t read them, you’re really missing something. Her worlds enchant, yanking the reader inside in the way only the best fiction does. As a school librarian, after my students had devoured the Harry Potter series, I would direct them to Jones’ books and soon they would consume each one in the libraries’ collection and be searching for more. I’ve read that even through treatment for lung cancer, she still pursued her writing, and it makes me realize I let too many things derail me. I know the cause of my excuses is self-doubt, but it doesn’t make it any easier to combat. The truth is we always think we have time, but we never know what’s around the corner. Diana Wynne Jones was taken before her time and who knows how many gems the world has lost in the taking. For other writers out there, I hope you don’t let fear derail you. We may not know how long we have, but it’s clear to me, doubt steals as many gems as death. Next Should we review sub-genres we don’t like?